Just can’t say enough good things about this great juicy read. Called Mail Online, with the web site url called Daily Mail, this show business website out of the U.K. is so much fun to read. They have wonderful sections which cover U.K. showbiz, U.S. showbiz, and other topics from health to science and current events. It’s a fun read and covers a wide swath of topics. Layout to the site is fabulous. In magazine style, juicy pictures of celebs are clickable to the related articles. Click the images you like then read the article. The front pages to the web site feature so much! There is today’s top show business pictures, a section called all the hottest, United States showbiz, gossip direct from LA, news and gossip around the world, review, music reviews and album release dates, features, and a cool show business photo gallery updated every day. 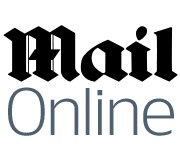 To visit click Daily Mail, click on the Mail Online logo above right to have the site come up in a new window. If you love the site or have other entertainment web site links you would like to recommend to Oplastic please comment below. Have fun!